Master-keyed padlocks can be unlocked with both separate, individual keys and a master key. This can help prevent delays in lockout-tagout procedures stemming from lost or misplaced keys. Master-keyed padlocks are available for both keyed-differently and keyed-alike padlock sets. As with our other safety padlock sets, master-keyed locks are available in a variety of materials such as aluminum, steel and plastic, for a wide variety of lockout/tagout (LOTO) procedures. Color-coded steel master™ locks help to identify specific individuals or departmentsmaster-keyed padlock with black bumper, 9/32" shackle diameter and 3/4" shackle length. Master Lock® Xenoy padlocks are the best choice for safety and durability. Color-coded master™ locks help to identify specific individuals or departments in your facility. American Lock® Pre-Numbered Padlock Sets are engraved with a designated number that matches a key. Gold individually-keyed aluminum with key tag numbered 1 through 6. Lock sets with color options to best suit your needs. Prevent arc flash and electrical hazards with Zenex™ thermoplastic padlocks. Considering master-keyed padlock sets can be unlocked by a master key, this type of safety padlock can greatly reduce any issues stemming from lost or misplaced keys. 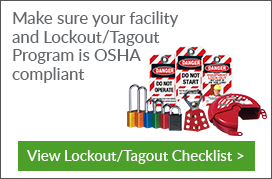 This can contribute to an extremely efficient safety lockout-tagout program within your facility. Since master-keyed padlocks are available in both keyed-differently and keyed alike, you can further streamline your program by choosing keyed alike sets. Furthermore, you can also purchase more than one master key to assign to higher level personnel, thereby reducing the risk of disruption to your LOTO procedures even further. That being said, it is also wise to come up with an organized and systematic monitoring protocol, to ensure you keep track of all your master keys properly.